Need a simple salsa dip recipe? 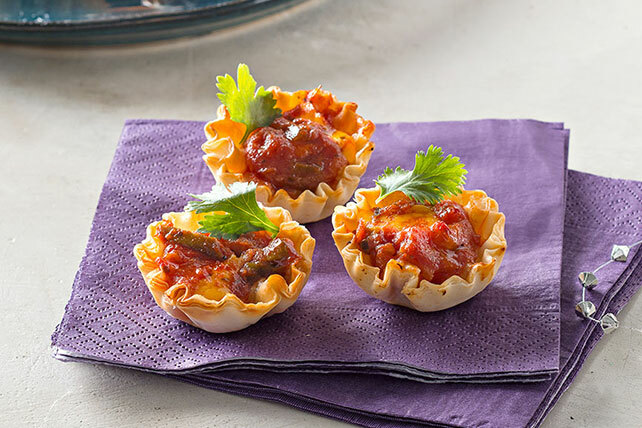 Incorporate it into these Salsa Dip Appetizer Bites that are easy to eat and super tasty. Serve them on game day! Cut VELVEETA into 2 slices, then cut each slice into 15 cubes. Place phyllo shells on baking sheet. Fill each with1 VELVEETA cube and about 1 tsp. salsa. Bake 10 min. or until VELVEETA is melted and edges of shells are golden brown. Garnish with cilantro. Prepare using Queso Blanco VELVEETA.